Why are teenage boys so hard to shop for? 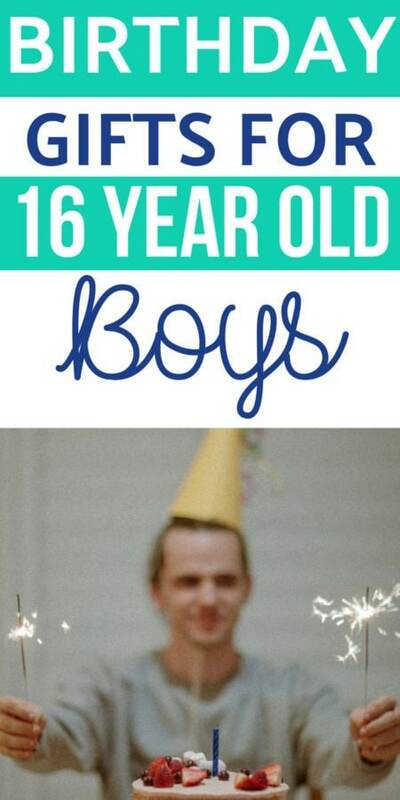 Get the birthday boy on your shopping list one of these not lame gifts for his 16th birthday. Teens can be a little tough to buy for, so use this guide to help find the best gift for your sweet boy! Search this list and see what fits your 16 year old boy, and see if you can find the best gift for him. Tacky birthday shirts are the best thing ever. Get him this one so you guys can make a lame computer joke together. If he’s an adventurous 16 year old this book could possibly save his life. A great way for young people to learn some essential skills – just in case. There’s dozens of ways to play this competitive 2 player game. He can take on all his friends to see who’s the greatest ball bouncer. Or destroy him on his birthday by practicing before you give it to him. Boys don’t outgrow wanting to build Lego, but they do outgrow the colourful play sets. Get him some more grown up models to put together for his 16th birthday. The most gruesome way to store your important files. Even better if he needs one for school. He needs to eat and he’ll need to cook as he gets older so you might as well start introducing those skills now. This cookbook is designed for teens to help him start his adventures in the kitchen. A great joke gift for a teenage boy’s stressful lifestyle. It won’t help him reduce stress if he follows the directions, but it will give him and his friends a laugh which should help. 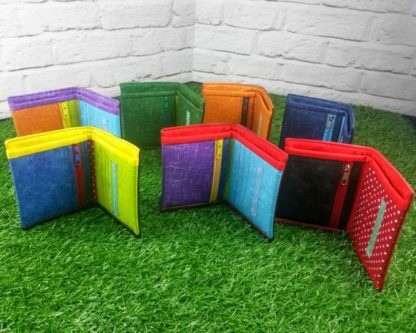 Wallets are a great gift for teen boys because chances are they don’t have one or need a new one. Want to make it extra special? Stick some money inside. This is a cool tech and STEM learning gift all in one. You can program the robot with your phone and it shows the code to help teach programming. 16 isn’t too far away from graduating and moving out. Start getting him set up now by picking up some fun household items that he can use now but take with him later. You’re never too old for dinosaur shaped food. Serve him his eggs like this the morning of his 16th birthday for a fun surprise. Help encourage him to take more showers with a Blutooth shower speaker. Now he can karaoke to his favourite songs while getting washed. If you’re really not sure what to get a boy for his 16th birthday you can’t go wrong with a basket full of snacks. These care packages are great for grandparents to send from far away. He’ll be cruising down the street with this modern skateboard. It’s a great way to get around and get exercise. He might be too old for toys but he’ll appreciate these cool, collectible toy robots. They make a cool decorative piece in a teenage boy’s room. There’s nothing that says “gangsta” like sipping coffee or tea from your parent’s breakfast table. Just saying. Because gender stereotypes and peer pressure say he can’t have normal lip balm but you don’t want the poor kid’s lips to get chapped. Want a big “wow” gift for his 16th birthday? A smart TV for his bedroom will do the trick. They’re not as expensive as they used to be, either. If you, or someone else, splurged on a car then sometimes a keychain is all you need. 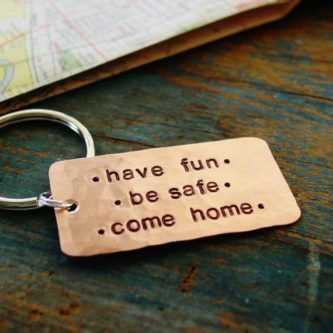 This one has a really sentimental message on it to remind him to stay safe. Before you know it that sweet 16 year old boy will be going off to college and leaving you behind. I’m not crying, you’re crying.